10 ១០ ដប់ ɗɑp 和漢語「十」同源。 古漢語 *di̯əp. 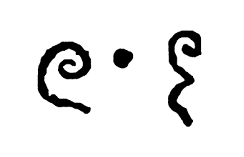 ^ Gorgoniev, Yu A. Khmer language. 1961: 72. ^ Jacob. Notes on the numerals and numeral coefficients in Old, Middle, and Modern Khmer (PDF). 1993: 28. David Smyth. Colloquial Cambodian: A Complete Language Course. Routledge (UK). 1995. ISBN 0-415-10006-2. Huffman, Franklin E.; Charan Promchan; Chhom-Rak Thong Lambert. Huffman, Modern Spoken Cambodian. 2008 [2008-03-25]. （原始內容存檔於2009-08-04）. Unknown. Khmer Phrase Book: Everyday Phrases Mini-Dictionary. 2005. Smyth, David; Tran Kien. Practical Cambodian Dictionary 2. Tuttle Language Library/Charles E. Tuttle Company. 1998. ISBN 0-8048-1954-8. Southeast Asia. Lonely Planet. 2006. ISBN 1-74104-632-7. SEAlang Library Khmer Lexicography. [2008-12-07].